Great Bay Limousine has some great limo deals for you on a regular basis. Please be sure to bookmark this page or sign up for our newsletter to get our most recent specials. 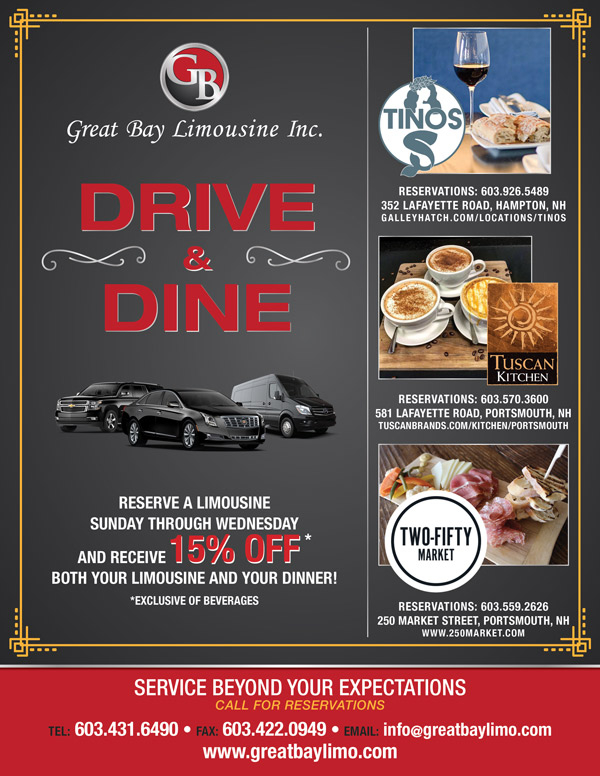 Great Bay Limousine is pleased to announce the launch of our Drive & Dine program. Save 15% on your limo and dinner at participating restaurants.